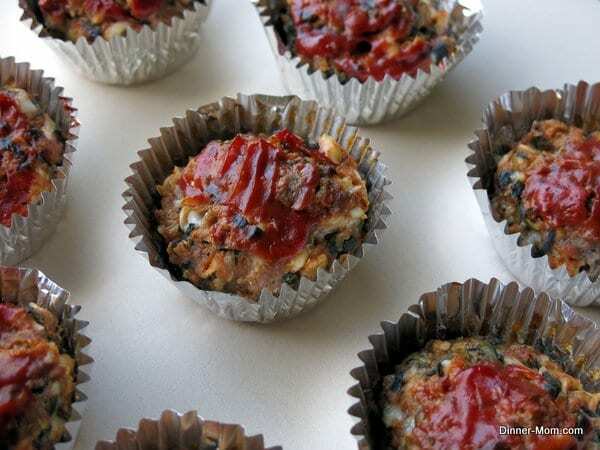 These healthy meatloaf muffins are filled with goodies including lots of cheese, spinach and pine nuts. Plus there’s a fun factor. Mashed potato icing crowns the top. Your family will love these! 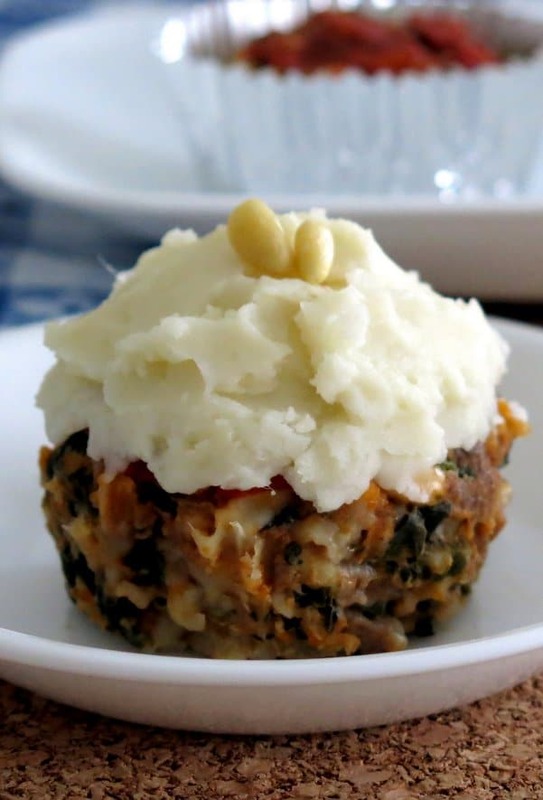 If you enjoyed the Sundried Tomato and Mozzarella Meatloaf recipe, (that’s the super popular entree from our make ahead meal store that I wrote about,) then you’ve got to try these Meatloaf Muffins with Spinach and Pine Nuts. They have the same cheesy flavor with the surprise addition of pine nuts and spinach. You’re sure to become a meatloaf fan with just one bite of this updated comfort food. I used extra lean ground beef, low-fat cheeses, oatmeal, spinach and pine nuts to make this meatloaf tasty and healthy. But, for those who just might turn up their noses at spinach in a meatloaf (and I’m not naming any names from around my house.) I had to up the fun factor. I cooked the meatloaf in cute little muffin tins. And, yes…I ended up “frosting” the meatloaf muffins with mashed potatoes. Hey…presentation is important. They were gobbled right up! I used old-fashioned oatmeal. I always do and nobody’s the wiser. But, any type of breadcrumbs will work. Make sure to drain and really press all of the water out of the spinach. Place the defrosted spinach in a colander that is set over a plate. Press down on the spinach with a paper towel. Use low-fat cheeses or vegan cheeses. We have a dairy allergy in the house, so this recipe has been tested both ways. 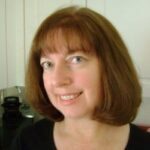 Check out Allergy Friendly Food Products for items we often use. The other ingredients are diced onion and ketchup. Enough said. As for the pine nuts. Well, these just add a tasty, nutty burst of flavor. Yes, you can leave them out. But, why would you? As long as we are talking ingredients, it’s good time to reflect on the fact that you can hide many things in meatloaf. I’ve added flax seed, chia seeds, wheat germ and pureed carrots. As I said, you can be very sneaky with these meatloaf muffins. But, this recipe is pretty healthy to begin with. As for the egg, you really can add it or leave it out. The cheese does a good job of holding everything together. Once you have all these yummy ingredients mixed together, fold in the ground beef and mix until just combined. Don’t mix too much or the meat will become tough during the cooking process. Portion about 1/4 cup of the meat mixture into each aluminum muffin tin. Top with ketchup, if desired. In case you are wondering, I have never tried paper inserts. I’m always a little skeptical that things could get messy. But, since I used lean ground beef, there was literally no grease in the bottom of the tins. These only take about 30 minutes to cook in a 350 degree F oven. 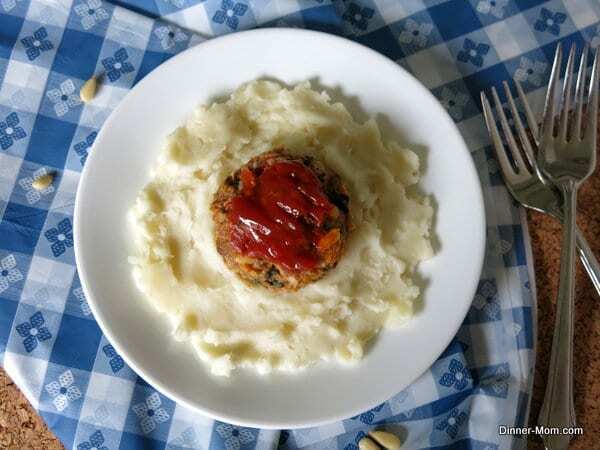 Serve these meatloaf muffins with crock pot creamy mashed potatoes on the top…or the bottom. Keep it healthy – Use lean ground beef and low-fat cheeses. 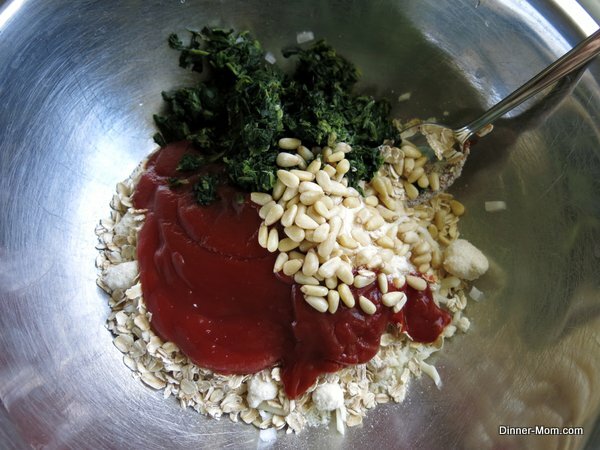 You can also sneak in about 1/4 cup of other healthy mix-ins such as flax seed, chia seeds, or vegetable puree. Make it egg- and dairy-free – Use vegan cheeses and leave out the egg. It was taste tested both ways. Make a traditional meatloaf – Use a 1 pound loaf tin and cook in a 350 degree F oven for about 1 hour. Use the leftovers – Crumble the meat and use in place of cooked ground beef in a recipe. Or, make an easy empanada by crumbling meat and placing it in crescent roll dough. Cook according to the dough instructions. 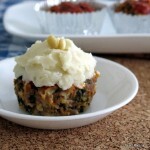 These meatloaf muffins with spinach and pine nuts are super tasty and healthy too. Make ahead and freeze them for a healthy dinner or lunch any time. Add all of the ingredients except for the ground beef and mashed potatoes to a large bowl and mix well. Portion about a 1/4 cup of mixture into each aluminum muffin tin. Serve with mashed potatoes "frosting" on the top, if desired. This traditional meatloaf recipe and can also be cooked in a 1 pound loaf tin or 3 mini loaf tins. Adjust the cooking time accordingly. A 1 pound meatloaf will take about 1 hour to cook. Meatloaf freezes exceptionally well, before and after it is cooked. Eat within 2 months of freezing for the best quality. This recipe was tasted-tested dairy- and egg-free, by leaving out the egg and using vegan cheeses. Not only is this recipe visually delicious, but the taste…YUM! So Cute- the kids would love it! I like the pine nuts idea, wish they weren’t so darn expensive.. This is an amazing recipe! I don’t care for meatloaf at all but this is like no meatloaf I have ever eaten in my life! The flavor was perfect for so few ingredients and the pine nuts took it over the top! Thank you so much for sharing this recipe that will forever be one of my favorites! Yay! I’m so glad you liked it. I love when people “discover” that this is no ordinary meatloaf. I love meatloaf. This looks like such a fun way to prepare it. Of course, it’s impossible to find pine nuts in my small town grocery, but I’m putting them on my shopping list for next time I go into the city! Thanks for stopping by! When they go on sale, I buy a package for the freezer…for experimenting and such. It’s pretty tasty without them too. Pine nuts are expensive. I go for walnuts which is a flavor shift but it keeps the dry nutty taste. I use walnuts when making my own pesto, too. Hi! Use a 1/2 cup of Parmesan cheese. Walnuts sounds like a nice change of pace. Thanks so much for commenting! This is currently cooking in my oven! Can’t wait to taste it because it smells amazing! We went without eggs. Thanks so much for stopping by! I hope you enjoyed it! I love this for April Fools Day! Great Recipe!